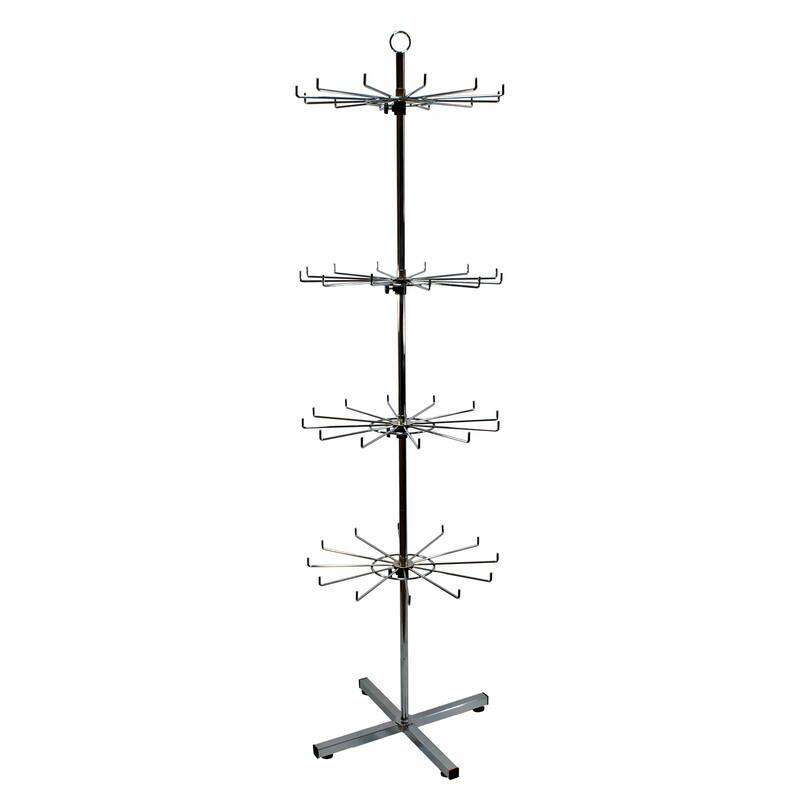 This floor standing rotating hook stand is ideal for displaying belts, home wares, gifts, bookmarks, accessories and more. Each of the 4 tiers are adjustable in height enabling you to position them anywhere on the upright pole. 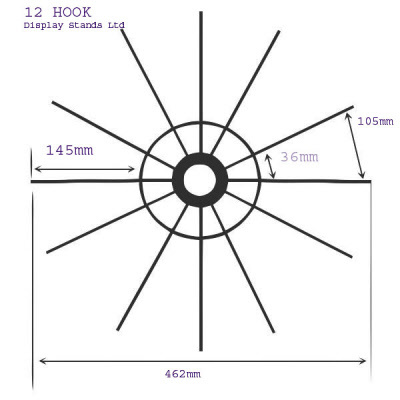 Each tier also rotates independently allowing your products maximum exposure. The stand comes complete a chrome circular header clip for your branding or price information. Height: 1685mm / 168.5cm / 5' 6.25"
Width: 490mm / 49cm / 19.25"
Depth: 490mm / 49cm / 19.25"
Diameter: 462mm / 46.2cm / 18.25"
Hook Length: 145mm / 14.5cm / 5.75"
Outer Horizontal Pitch: 105mm / 10.5cm / 4.12"
Inner Horizontal Pitch: 36mm / 3.6cm / 1.5"